The UK Thunderball is arguably the UK’s second most popular lottery, offering fixed prizes—including a jackpot prize of £500,000 (€570,477 / $644,388)—and four chances each week to win them. What’s more, it has great odds and a double-matrix format that should be pretty familiar to most lotto enthusiasts. Thunderball started way back in June 1999, about 5 years after the UK’s biggest lottery, Lotto, was founded. Operated by Camelot Group, the same operator as UK Lotto, Thunderball was originally a weekly draw that took place only on Saturdays and had a £250,000 jackpot prize and a range of 34 numbers. As its popularity grew, a Wednesday draw was added in October 2002, and in November 2009 the draw machines were upgraded to the state-of-the-art Smartplay Halogen II machines. Just a few months later, in May 2010, several major changes were introduced. The range of balls was increased to 39, the jackpot doubled to the £500,000 amount we see today, a prize for matching only the Thunderball was incorporated, and a Friday draw was added as well. The last major change was quite recent, as in January 2018 a Tuesday draw was also added into the mix. 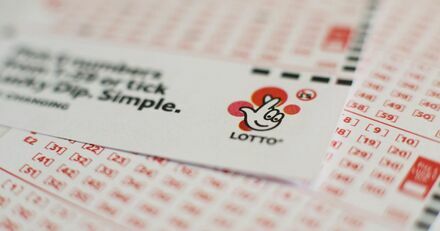 Just under a third of all of the money collected from the ticket sales of Thunderball and Camelot Group’s other lotteries goes to an organization known as the Good Causes Fund. This organization supports a wide range of programs around the country, including education, health, charities, sports, arts, and the environment. In 2018 alone, they supported more than 220 homeless projects that gave many people temporary homes and some direction and meaning in their lives. The mechanics of UK Thunderball are fairly similar to those of other big double-matrix games such as US Powerball and Mega Millions. Players choose 5 primary numbers from a range of 1 to 39 and 1 secondary number from a range of 1 to 14. If all 6 of your numbers match those that are picked from the two drums used during the draw, you win the Thunderball jackpot prize. If you prefer to not choose your own numbers, you can opt for the Lucky Dip option, which will randomly choose the numbers for you. Since all of the prizes in Thunderball are fixed amounts, there are no rollovers. You either win or you don’t win, and you have four chances each week to do so. Although the £500,000 maximum jackpot amount in UK Thunderball isn’t all that impressive, the 1 in 8,060,598 odds of winning it certainly are. There are only a few other lotteries in the world that offer odds this good. Austria Lotto 6 (which offers odds of 1 in 8,415,060) and Hungary Hatoslottó (1 in 8,145,060) are two of them. However, both of these games have jackpots that are considerably bigger than UK Thunderball’s. And, if you’re ok with the slightly tougher odds of 1 in 13,983,816, Canada Lotto 6/49's jackpots can be even larger than those two. 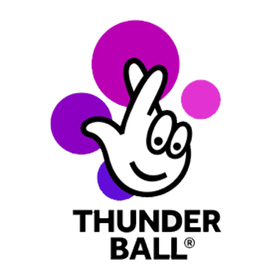 The Thunderball lottery draws four times per week, on Tuesdays, Wednesdays, Fridays, and Saturdays, at 8 pm GMT at the UK National Lottery’s London headquarters. They are broadcast live pm BBC One. Official ticket sales end at 7:30 pm GMT the night of each draw, but if you’re playing the game online, you’ll need to buy your tickets a few hours earlier. All prizes must be claimed within 180 days of the time they are won. If they are not picked up in that time, they are automatically donated to the Good Causes Foundation. Ever since the size of the Thunderball jackpot was increased to £500,000 (€570,477) in May 2010, all of the jackpots have been the same. While this might not seem like a particularly impressive amount, the fact that everyone’s piece of the pie is exactly the same size—no winner ever has to share it with another winner regardless of how many people win the same draw’s jackpot—is reassuring. 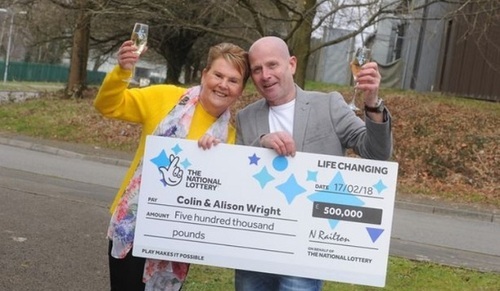 Sure, no Thunderball winners will ever be among UK's biggest lottery winners, but over the years countless people have won the jackpot and greatly enriched their lives thanks to its solid odds and frequent weekly draws. All prizes won through UK Thunderball are paid out in as cash in a single lump sum. Just like with UK Lotto, you won’t be able to choose an annual-payment option with this lottery either. The UK does not tax lottery prizes, so the amount you win is exactly the same amount that you’ll be paid out. However, once you deposit the money into a bank account, there are a few scenarios under which you might still need to pay taxes. If you're playing from abroad, your country of residence may or may not tax you, depending on how it views lottery winnings. Therefore, it’s a good idea to look into this. UK Thunderball is so well known that it’s quite easy to play it online through many of a number of great lotto agent websites. Most of the sites take only a few minutes to register with and then they quite literally open up a world of lotteries to you, including many you’ve likely never heard of before. UK Thunderball – Is It Worth Playing? The fact that the UK Thunderball jackpot is nothing spectacular might turn off players who are looking for big-win lotteries that have the potential of changing their lives forever. However, for those who are willing to look past that, the game has some of the best odds of any major international lottery, respectable fixed prizes that don’t have to be shared with anyone else, and draws that take place four times per week. As a result, it’s got enough positives that it’s ultimately a lotto that’s worth checking out.